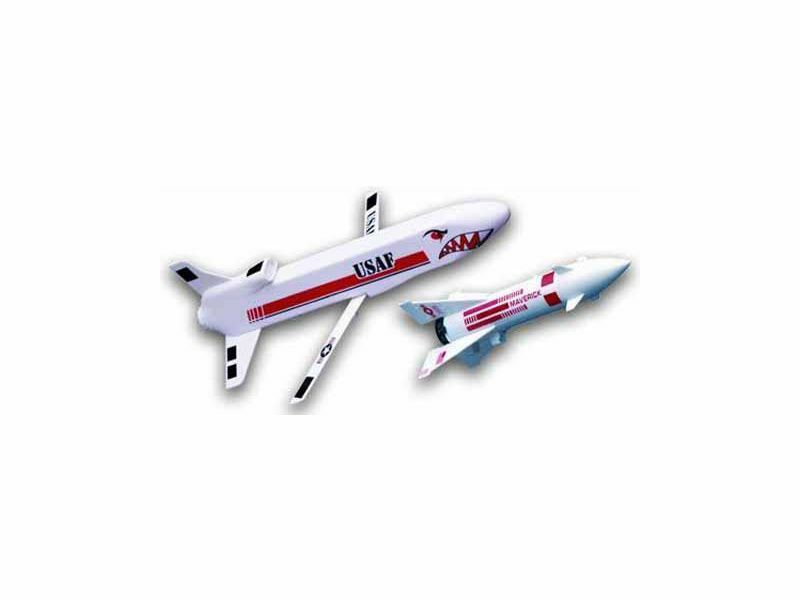 Launchable TWO Easy-to-Build rockets - Cruise Missile and Maverick - Twice the fun! No painting is required and assembly will be familiar to anyone that has glued together an Airfix kit! Altitudes over 300 meters, so Estes claims! They fly like an Airfix kit, too, unfortunately. What do you expect for a fiver?